I know you all have been patiently waiting (or impatiently) for my newest paranormal novel, Paradigm. If you love all things scary, I’ve gone back to my roots, and have a dark, dark tale to share soon. My strike of all things social media is ending this month. It’s hard to be happy and upbeat when you feel the world is crashing around you. I think I’ve been away long enough to have built some kind of barrier between myself and the chaos. I knew it would happen – but I didn’t listen to me! I DO have something to share with you today. My publisher, Sapphire Books (linked so you can sign up for our newsletter and find out WHEN you can get your hands on a copy of Paradigm) Sent me the final cover to share. I think it’s amazing and I hope you do too! For me, it completely represents Gypsy, our host for the paranormal television series, Paradigm, around which the book is written. I will have more information available within the next month on the final release. … Leave the lights on. If you have time, you can leave me a comment below on what you think! 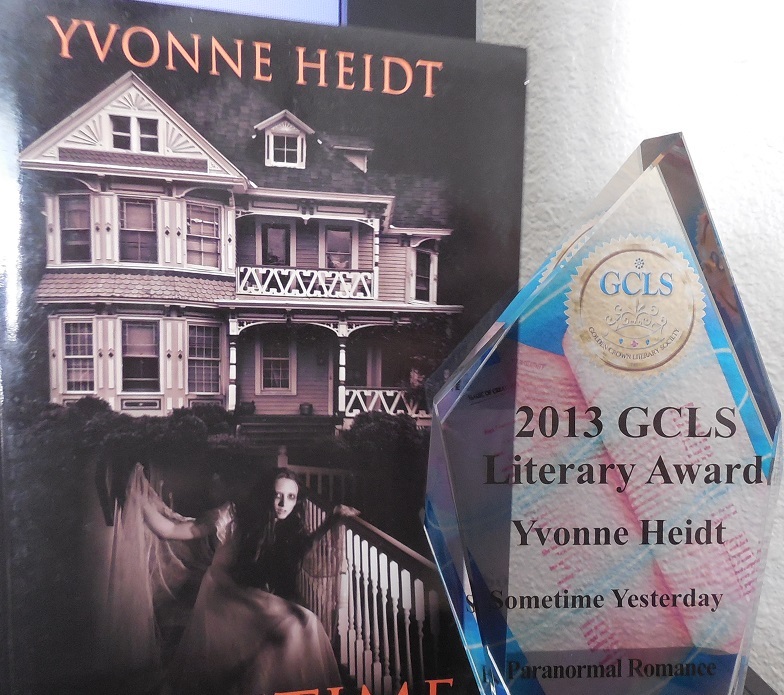 On June 29th, 2013 – my book, Sometime Yesterday, was up for two Golden Crown Literary Awards. One for Debut Author, and one for Paranormal Romance. Being a finalist was shocking enough – being included in that amazing group of talented authors was surreal. But to win? OMG. For those of you that are just now hearing of me, I’d like to tell you a story. On May 3rd 2006, my daughter Dezi passed away. She was three weeks shy of her twenty-fifth birthday. My daughter loved to write and read my stories. We shared a love of reading. Oftentimes, we would pull out books from our purses and they would be the same one. It was our dream to write a book together. Sometimes life – and the choices we make – takes us in a completely opposite direction from our dreams. Sometimes, if you’re very lucky – you get back on track. For me, it was with my angel’s help, that insistent encouragement in my spirit with Dezi’s voice. My baby girl would not leave me be. She always called me that – with a French accent. The voice got louder and louder as time went by. Then a series of serendipitous events led me to Bold Strokes Books. They were so random, they couldn’t be anything but signs and synchronicity from my daughter. Sometime Yesterday was a labor of love, and it kept me connected to Dezi. I wanted to write a story about a love that transcended time and death – of how a spirit would wait centuries to be reunited with their soul mate. The Dark Man that keeps them apart, represented so much more than the character. He represented challenges that we faced in our lives – addiction, abuse, broken promises and dreams. I kept the story as authentic as our relationship was. Because throughout life, as hard as it was sometimes – we always laughed together. Natalie’s coming out story was mine, almost word for word. And it’s one of the scenes that readers tell me they love. How cool is that? Back to the awards – getting me to sit still for that long, with that much energy in the room, is a feat in and of itself. I was plugged in big time. I hadn’t planned any words to say – I didn’t expect to win. I only knew that I was honored to be a finalist at all. How on earth did I get here? To be in attendance with so many wonderful women – authors and readers alike – meant more to me than I can express. The warmth you gave Sandy and I was wonderful. The feeling of belonging in a group of women just like us – was a gift. So, thank you for that. 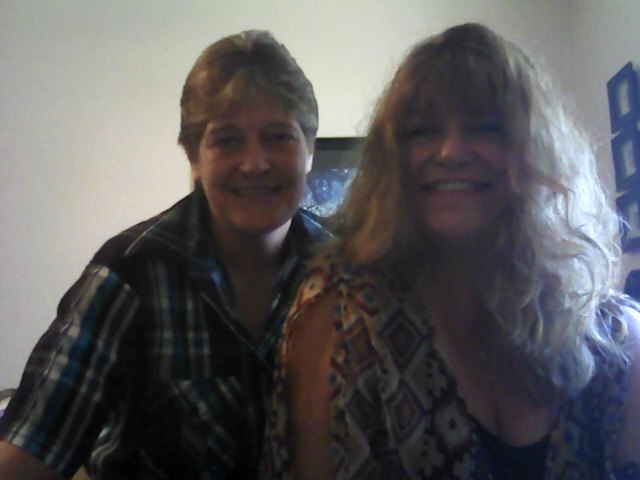 To see my beautiful wife smile and feel a part of, instead of us being the token lesbian couple – was priceless to me. That alone was worth the trip. Sitting in the audience, watching my book come up on the screen with my name, took my breath away. I was already excited for the other authors who had won. The energy in the room, and the Bold Strokes Books table, bumped up incrementally with each announcement, increasing my heartbeat, and made me dizzy. 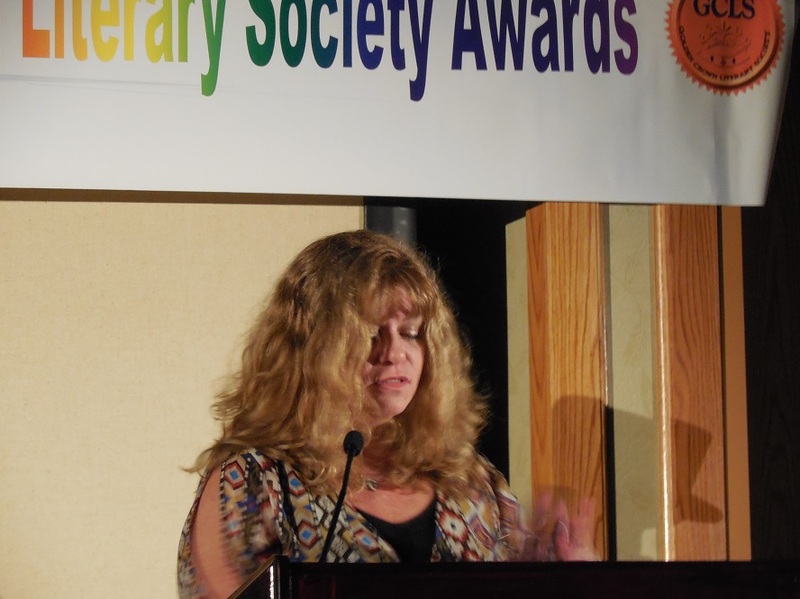 When I didn’t win an award for debut author, I was still excited for the winners. Truthfully, I was relieved I didn’t have to get up and get on the stage. I had a dream that I fell off it the night before. When they announced the category of Paranormal Romance, I held my breath. I just wanted it over with so I could clap for the winners. I was honored to be included – but had no real expectation of winning. Time slowed for split second. In the moment between a breath that I took and when I finally exhaled, I heard it. I gasped and elbowed Sandy in the ribs the second I heard Dezi’s voice. Then I heard my name being called. That’s a feeling that cannot be completely described. I’ve never felt anything like it in my life. I’d like to tell you that I remember what I said, but I was still shaking – it was completely surreal. I know I choked at the microphone, I couldn’t see a thing with the bright lights in front of me, so I looked down. I was looking at proof that Angels exist. That dreams can come true. And I couldn’t get the words out past the lump in my throat. I know I thanked my wife first. Being married to an author isn’t always easy, and she understands more than most that when I’m looking out a window, I’m working. When I talk to my characters, she knows I’m not in need of more medication 🙂 She’s awesome. What I also wanted to say clearly was: Thank you to the Golden Crown Literary Award committee, judges, and my publisher Bold Strokes Books, Radclyffe for giving me chance, Victoria Oldham for believing in me, and Cindy Cresap – for teaching me how to sing the song I wrote. I’d like to sincerely thank the readers. Thank you for letting me share something so personal to me. Thank you for seeing into my soul and finding my creation worthy. Thank you for your kind comments, reviews, and emails.